Patches, pins and embroidery have been a massive trend for roughly a year or 2 and I'm finally jumping on it! I've been collecting patches for a while now, they're not actually that easy to find. It took a while for the highstreet shops to sell interesting patches. They had the puffy ones for a while in Urban Outfitters and Topshop but to be honest with you they just looked too childish. I just wanted some fun, colourful but not too tacky patches. (I mention where I got mine at the end of the post). After a year or so off collecting I've finally got a nice bunch together. 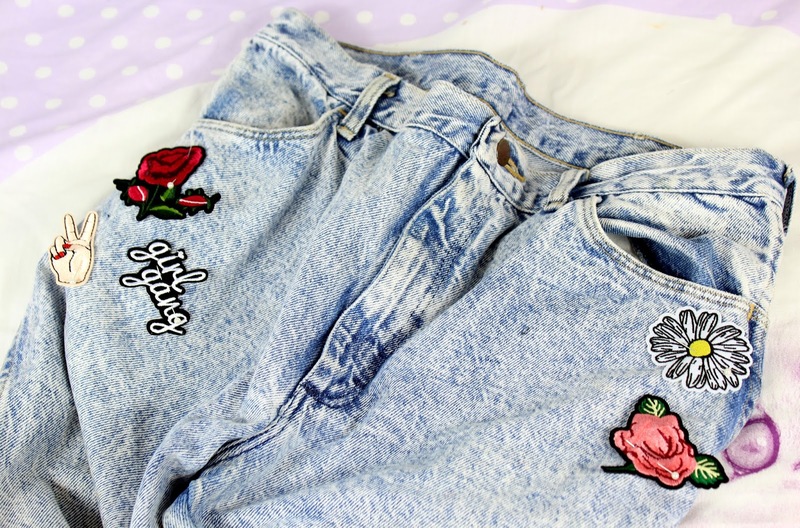 I chose to jazz up my mum jeans because they're quite vintagey and I thought the patches would compliment that. Plus I don't really wear that much denim. 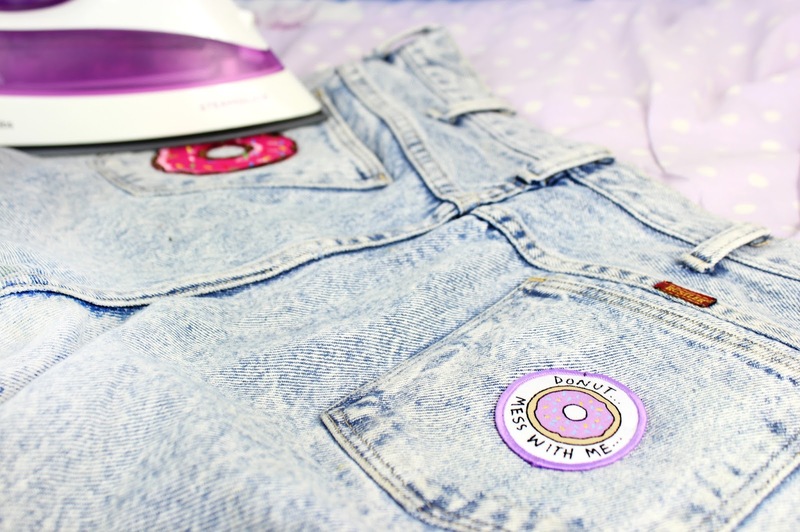 They would also look really good on a denim jacket or some dungarees. My patches were iron on which made the process a lot faster but some patches you have to sew on. But just have fun with it! 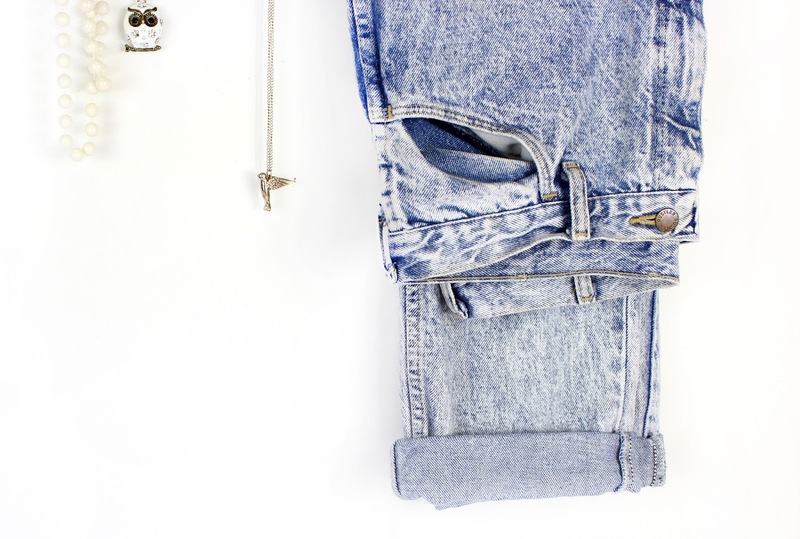 It can be a new project, the transformation of the jeans. Kinda sounds like a band name. 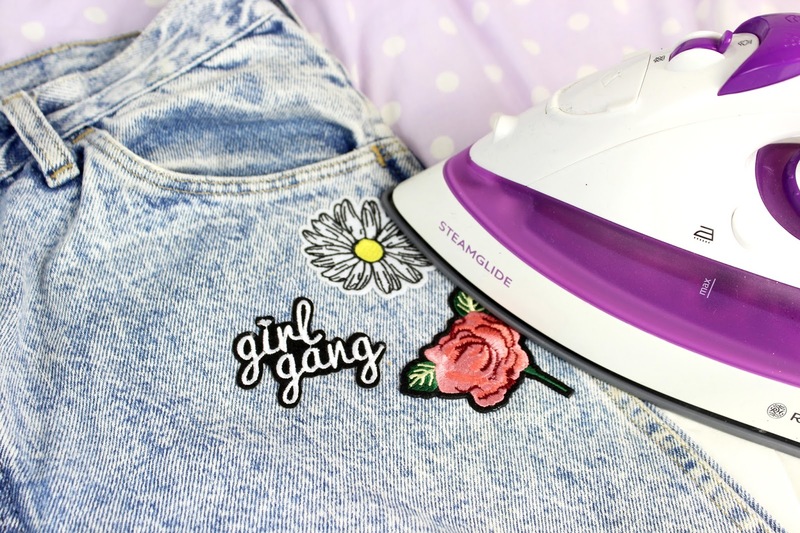 Play around with the positioning of the patches by pinning them on to see what it looks like and then when you're happy with it iron them on. P.S I've started to do cross stitching so expect some of that on here soon, any ideas?